A bar stool fitted with a swivel base allows for easy side to side movement. Stand up from the table or bar with ease, always have the best view and move comfortably on this seat. This 26" swivel bar stool is backless for easy style in any decor. The counter height stool is available in your choice of upholstery for the seat and distressed, rustic finish option for the wood base. The Champlain - Custom Dining Customizable 26" Swivel Stool by Canadel at Jordan's Home Furnishings in the New Minas, Halifax, and Canning, Nova Scotia area. Product availability may vary. Contact us for the most current availability on this product. 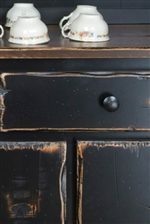 Finish & Paint Options Available in 15 rustic one-of-a-kind finishes. 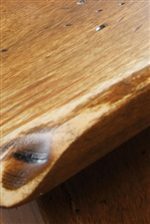 The 11-step distressing finish creates a highly distressed, hand-worked finish that brings out the wood's natural characteristics for a time worn glow. 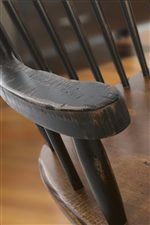 Inspired by early colonial craft techniques, the Champlain collection features straight forward, unadorned furniture marked by time, with simple lines and natural colors that lend rustic charm to any dining room or living room. Traditional styling comes alive with the numerous tables, chairs, serving tables, buffets, accent tables, and TV stands. The pieces represented have been selected because of their historical style and significance. 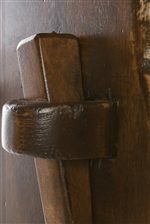 The natural characteristics of the high quality solid birch wood are maintained throughout the collection, creating pieces of furniture that transcend centuries of history and tradition. 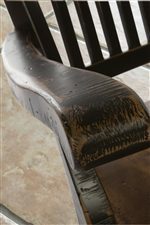 Each item is hand-assembled and hand-finished in one of 15 rustic finishes with a protective catalyzed lacquer finish. Complete an olde tyme design in your home with the Champlain collection. 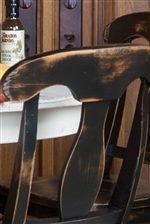 The Champlain - Custom Dining collection is a great option if you are looking for Relaxed Vintage furniture in the New Minas, Halifax, and Canning, Nova Scotia area. Browse other items in the Champlain - Custom Dining collection from Jordan's Home Furnishings in the New Minas, Halifax, and Canning, Nova Scotia area.